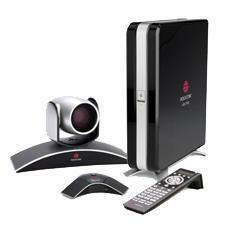 We are a leading Manufacturer of cisco tele presence video conferencing system and polycom hdx 7000 from Chennai, India. 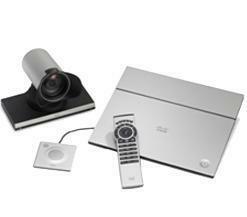 The Cisco TelePresence SX20 Quick Set is a flexible solution that helps you easily turn any flat panel display into a powerful telepresence system for small to medium-size meeting rooms. The SX20 Quick Set delivers high-definition video quality, multiparty conferencing, and three different camera options to accommodate room size and configurations--all at a value price. The SX20 Quick Set provides the performance expected of more expensive systems, in a sleek, compact, multi-featured package. This powerful quick set is ideal for small businesses just starting out with telepresence or large enterprises looking to broaden the benefits of telepresence throughout their organizations. Premium resolution and dual display come standard on SX20 as of March 31, 2014. Simple, intuitive connections make for easy set-up. Having a definite quality management system, we are immersed in bringing forth a top class consignment of Video Conferencing. Noise reduction, echo cancellation and more to optimize audio. The Polycom HDX 7000 system brings a complete collaboration solution to your meeting room. This media center can support two HDX microphone arrays and one EagleEye HD camera, with several additional interfaces for more peripherals and accessories. Bring HD video conferencing, content sharing and more to your meeting room, and boost your business' communications strategy. Ready for IPv6 and standards-based UC platforms. Looking for Video Conferencing System ?